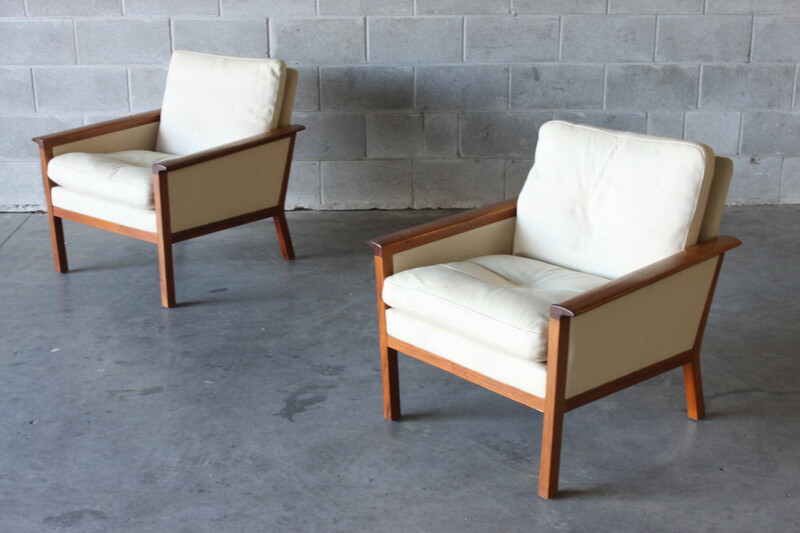 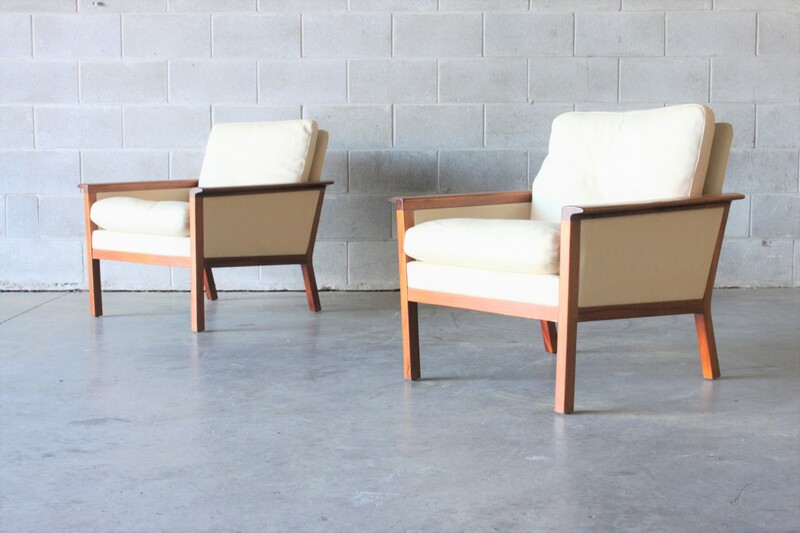 A pair of beautiful solid rosewood and wool lounge chairs. 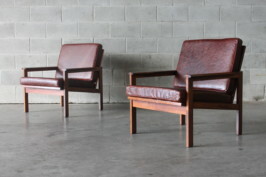 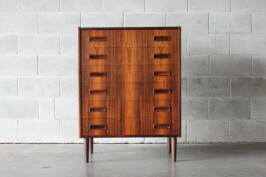 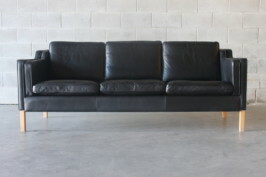 They are an excellent build and would pair up perfectly with our XL Hans Wegner rosewood and wool sofa. 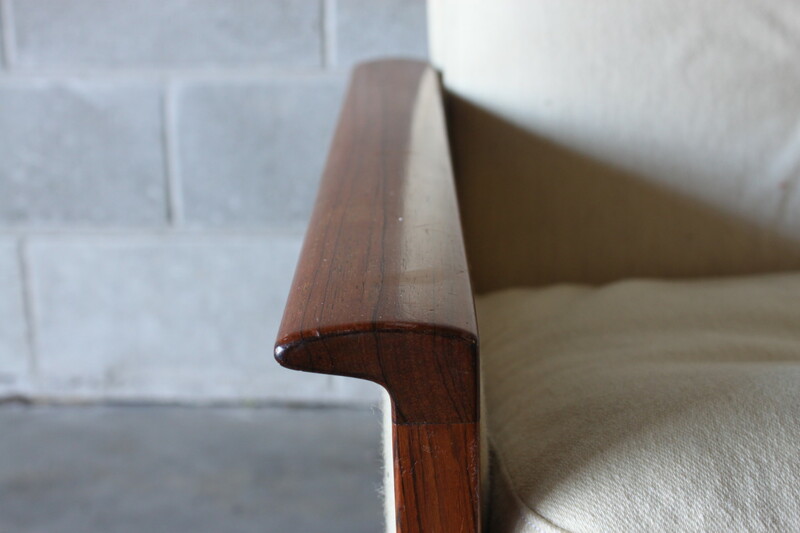 Nice detailed wing arms and both armchairs are solid as a rock!